Do you have chronic pain that just won’t go away? Have you tried all of the pain drugs, both over-the-counter and prescription, but still little relief? Have you even tried some alternative treatments, such as my favorite Prolozone, only to experience partial relief? If this describes you, it’s quite possible there’s another cause of your pain. Can You Really Get a Full-Body Workout Without a Weight-Lifting Program? One of the hardest things to get people to do is to stick with a regular, scheduled exercise program. It’s especially an issue for many older folks. This is particularly true if there are any weakness, disability, or balance problems. 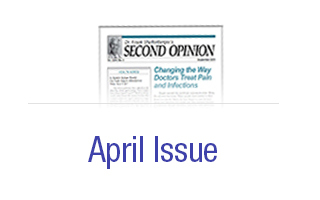 Second Opinion® helps you go beyond "band-aid" solutions to get to the real cause of your health problems. Editor-in-Chief Frank Shallenberger MD has been practicing medicine for over 42 years. He is licensed in both conventional and alternative medicine, and sees patients in his clinic on a daily basis. He formed and serves as president of The American Academy of Ozonotherapy, the only professional academy dedicated to teaching ozone therapy in the United States. He is also the developer of Bio-Energy Testing and Prolozone therapy. Dr. Shallenberger uses breakthrough cures you won't hear about from mainstream medicine or even other "alternative" or anti-aging doctors. You'll discover how to cure your arthritis, diabetes, allergies, fatigue, insomnia, fibromyalgia and a host of other illnesses. 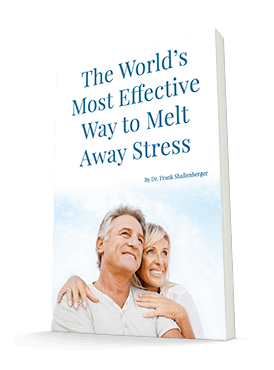 The World's Most Effective Way to Melt Away Stress. "You have helped me in getting my cholesterol under control and now my blood pressure is almost perfect. "Your newsletter is one of the best among many I have read. We have used a number of items to benefit our personal health care." "All disease and aging starts with decreased energy production function. Maximize your cellular energy, and you will live longer and be stronger." "God made your body to heal itself, all you have to do is to help it. Drugs don't do that."